Awaken your body and mind with vitalising everyday body care. 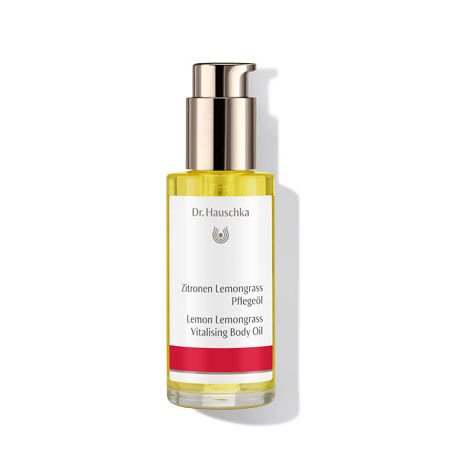 Lemon Lemongrass Vitalising Body Oil fortifies and firms the skin while the uplifting, refreshing scent of lemon peel and lemongrass extracts invigorate. Ideal for a firming, toning massage. Visit a Dr. Hauschka Esthetician for more tips on how to reduce cellulite and to experience a Dr. Hauschka Holistic Body Treatment.